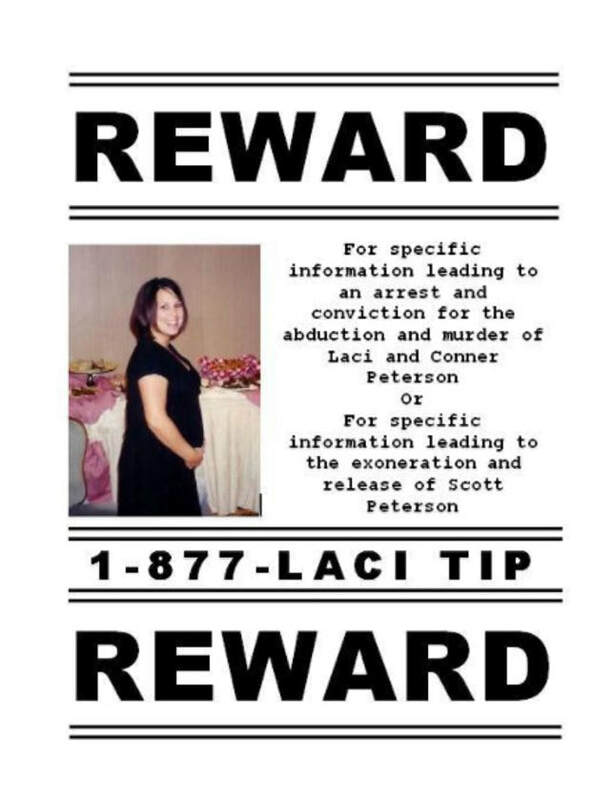 The family and friends of Scott Peterson are offering a reward for specific information leading to an arrest and conviction for the abduction and murder of Laci and Conner Peterson, or for specific information leading to the exoneration and release of Scott Peterson. 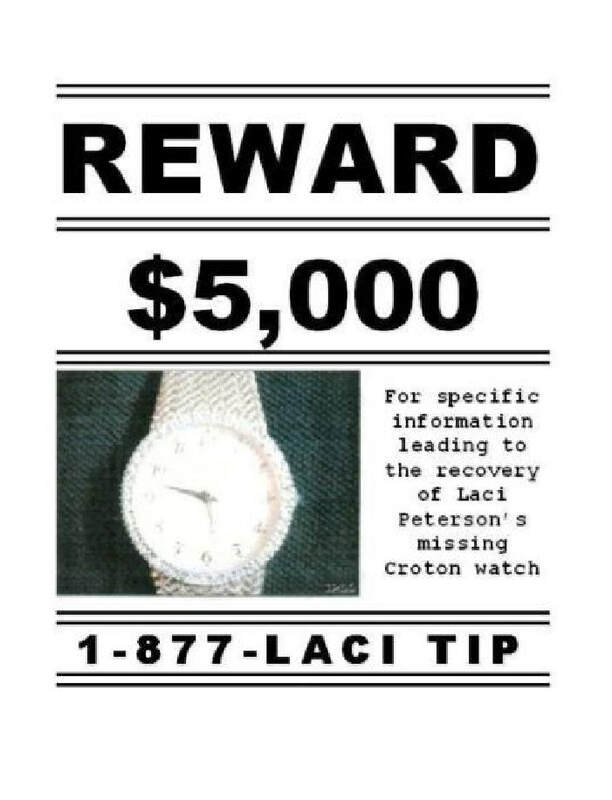 We are also offering a $5000 reward for specific information leading to the recovery of Laci's missing Croton watch. Laci is believed to have been wearing this watch the day she went missing. The watch is pictured in the flyer below. There has never been a reward offered in this case for information leading to an arrest and conviction. The first reward for $500,000 was specifically for Laci's safe return. The second reward for $50,000 was specifically for the recovery of her body. We're looking for the person or persons that may have any other information. Please help us by calling 877-LACI TIP (877-522-4847) with any information.